Introducing Virgo and a new workflow structure! We are really excited to finally introduce a new detector, workflow structure, and tool this week. 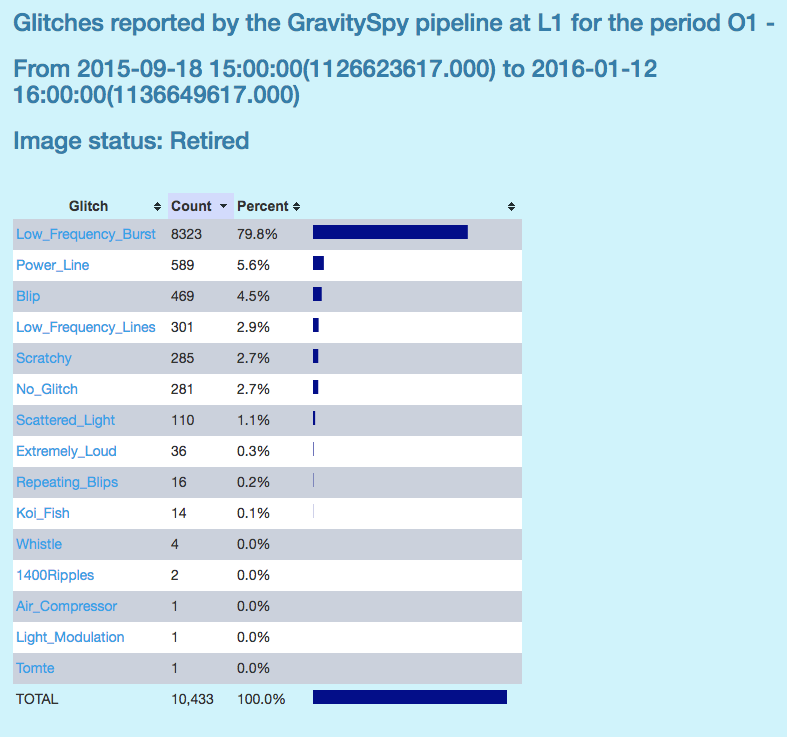 First, we present a new workflow containing glitches from the Virgo detector in Pisa, Italy. Second, we are changing the level structure to speed up our user training. Finally, we are bringing you an auxiliary web tool to help the search for unique and novel glitches. Virgo differs from Hanford and Livingston in a few ways including the length of the arms, the apparatus holding up the test masses, and the suspensions. We anticipate there will be a number of interesting new glitches in Virgo. For some glitches, such as Scattered Light, they will appear different but have the same cause. For other glitches, such as the Violin Mode Harmonics, they will be the same source but at different frequencies due to the different suspension system. 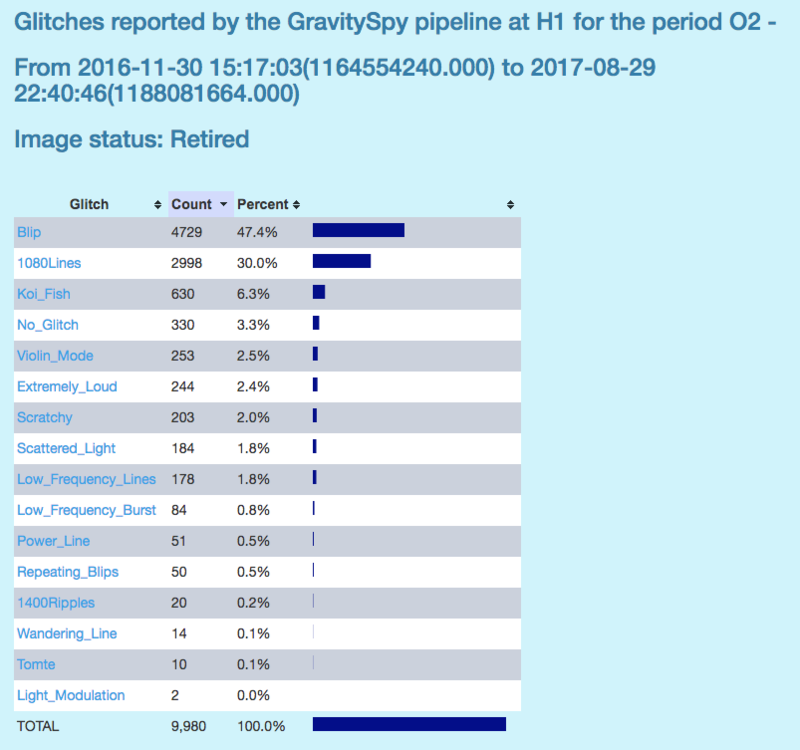 Below we demonstrate a few novel glitches you may find along the way while classifying Virgo glitches, including a new class we have called Fireball (bottom right). For those of you familiar with Gravity Spy’s training method, we intend to utilize pre-labelled images to help train new users in the classification task. In addition, in order to facilitate training, we introduce a different number of new families of glitches in different levels, culminating in Level 4 where all 22 classes are introduced. However, after some feedback, as well as looking at the data, we learned that getting from level 4 to level 5 was taking longer than anticipated. We decided that this was due to too many new classes being introduced between level 3 and 4. 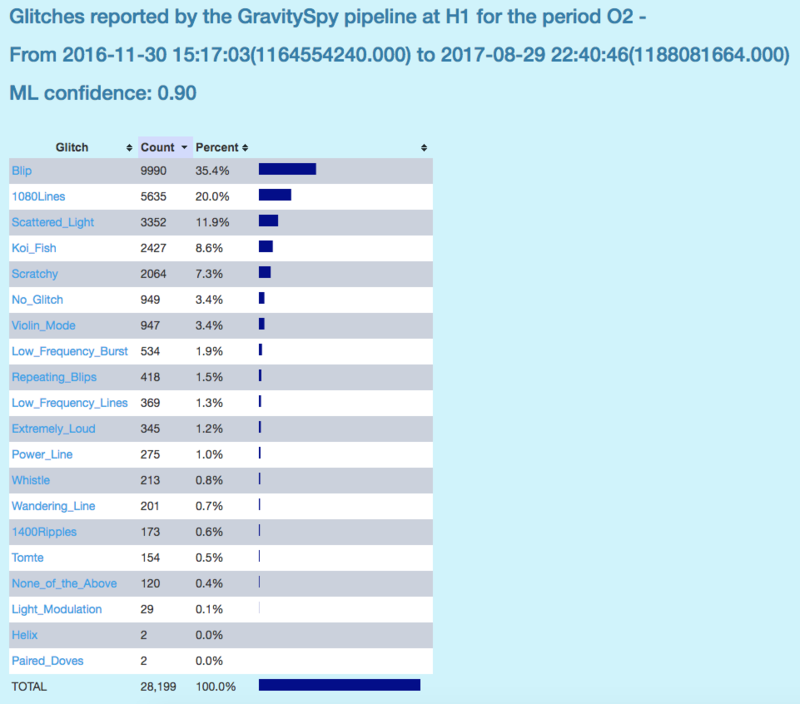 Specifically, the amount of pre-labelled images users were seeing was spread out across too many new classes causing the number of classifications a user must complete before seeing pre-labelled data to sky rocket. Therefore, we are adding another intermediate level that has 15 classes. We believe this will cause users to see pre-labelled images of the new classes faster and, in turn, move through the levels faster. 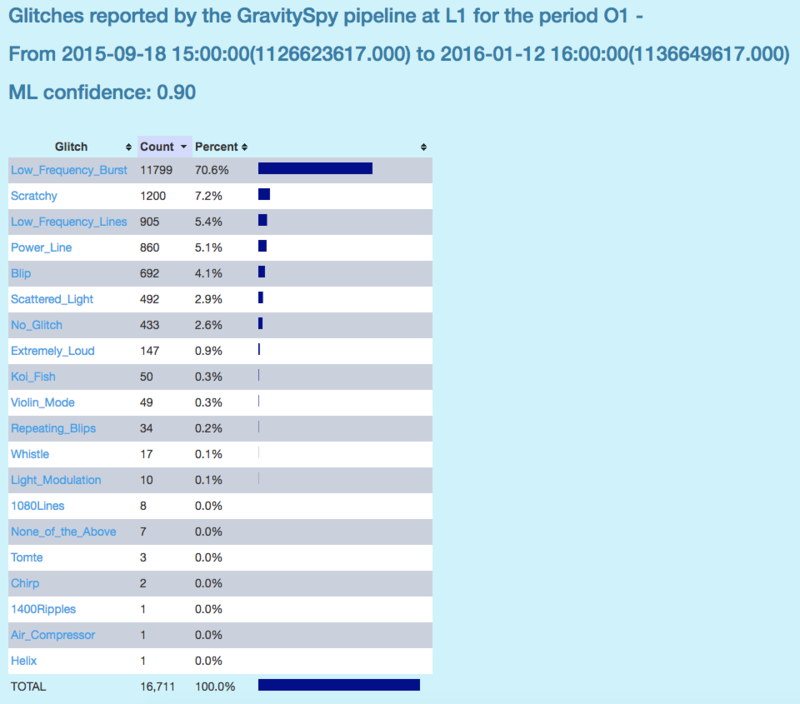 In total, with the addition of Virgo, there are now 7 levels in Gravity Spy (see image above). This restructuring of the workflows may cause some users to start on levels lower then they may expect. This can be due to a number of factors, and we encourage all users to simply charge ahead with classifying on whichever level they find themselves on. You should experience a fairly rapid promotion through the levels. 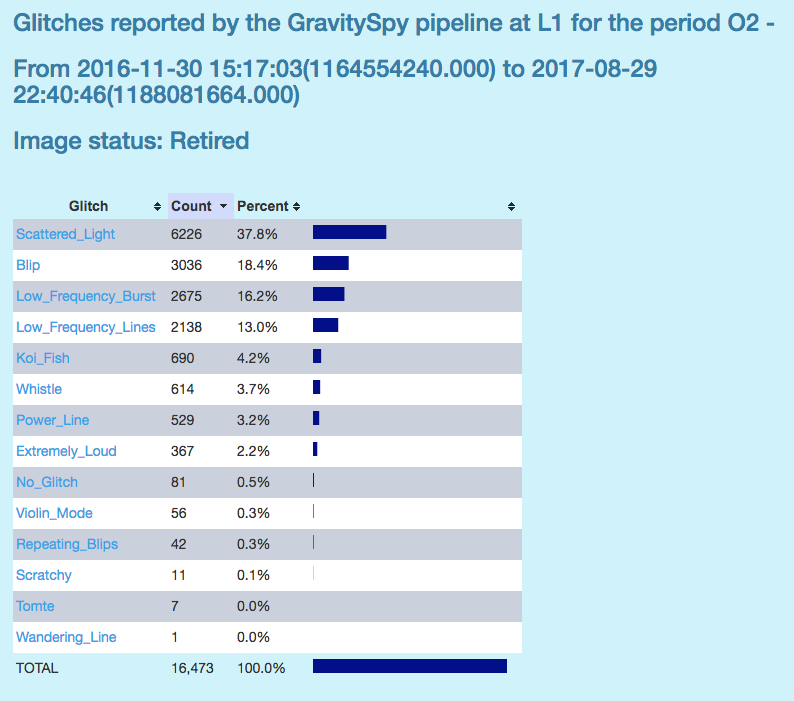 We want to thank all of our volunteers for their continued efforts on Gravity Spy and we appreciate all the feedback we have received. We look forward to seeing what novel Virgo glitches you are able to find! As always please reach out to me with all leveling issues. We hope this restructuring proves an effective method to boost training.